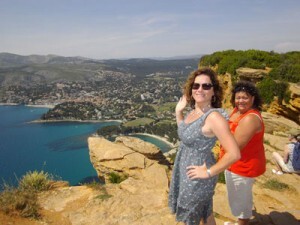 This French Cooking Tour is our best seller. Luxury accomodation in the heart of Provence with unique restaurants and culinary experiences such as cooking classes and wine cellar visits. Each day will be dedicated to a different area of Provence. 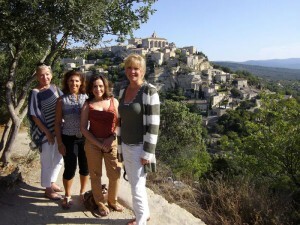 This new French Cooking Tour combines both our Paris Bistro Tour and our Gourmet Provence Tour in a 7 Day tour. We offer the best our our Paris Tour and the best our our Provence Tour in a unique Cooking Holiday in France that you will never forget. This French Cooking Tour of Paris brings you all the best of Paris, including luxury accommodations, the best bistros, pastries, breads, cheeses and a unique selection of French wines. 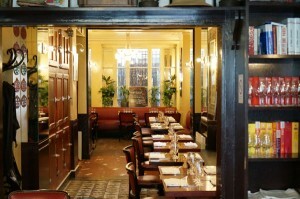 We will do an “off the beaten path” tour of Paris for foodies. Yvan, the Director and main culinary guide knows well Paris and is fond of the “bistronomie”, a movement that started in the 90′s. It was then that some very famous Michelin starred chefs decided to open more “down to earth” bistrots with affordable menus in casual atmosphere decorations. These Bistrots are not only for the “Dish of the Day” or Plat du Jour. They work hard to get the best fresh produce to give a more traditional cuisine to their custumers through daily menus. But there are so many now in Paris that we can find very creative cuisine chefs too. But we don’t want to show you just Bistros. Paris has so much to offer. All the best culinary products come to Paris. Wines, cheeses, pastries, bread, seafood. We find the best of all in Paris. So on our Paris Bistrot Tour we have decided to focus on a different speciality each day, combining with cooking classes.